A brace by Sydney Leroux and a late Rachel Hill goal was what Orlando needed to pick up all three points against Sky Blue FC in the NWSL tonight. 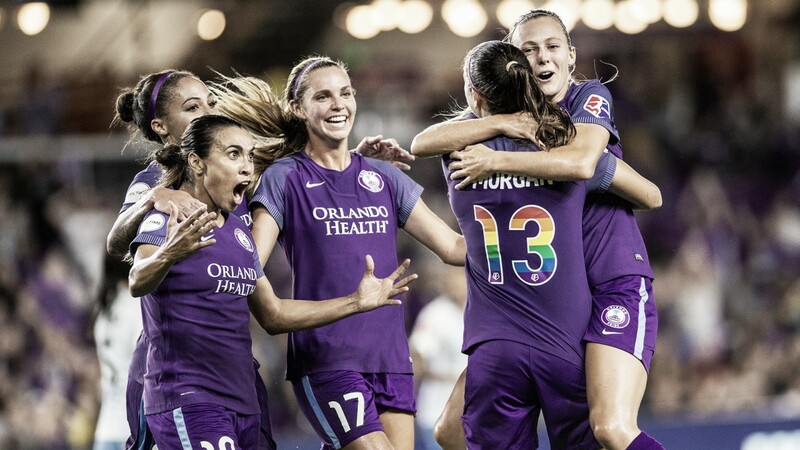 Orlando Pride: Harris; Poliana, Monica, Zadorsky, Pickett; Van Egmond (Weatherholt, min. 60), Kennedy, Nairn (Marta, min. 73); Leroux, Morgan, Ubogagu (Hill, min. 60). 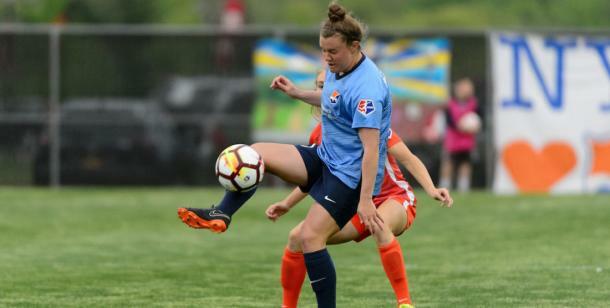 Sky Blue FC: Sheridan; Skroski (Frisbie, min. 55), Freeman, Richardson, Gibbons; Tiernan (Beckie, min. 60), Killion, Dorsey; Lloyd; McCaskill, Johnson (Moreno, min. 82). SCORE: 1-0, min. 2, Leroux. 1-1, min. 16, McCaskill. 2-1, min. 31, Leroux. 2-2, min. 37, Tiernan. 3-2, min. 83, Hill. REFEREE: Matt Franz (USA). Yellow Card: Gibbons (min. 45+1), Leroux (min. 75), Lloyd (min. 85). 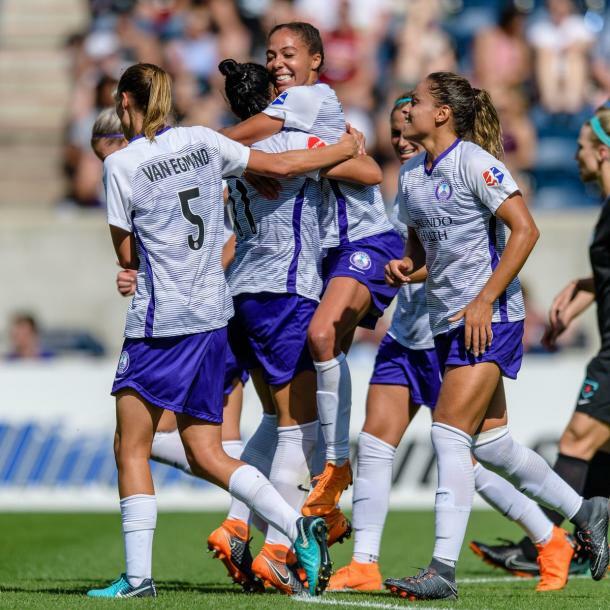 After trading goals all throughout the match, Orlando Pride found the winner against Sky Blue FC thanks to Rachel Hill. Orlando now sit in third in the National Women's Soccer League standings while Sky Blue are still without a win this season. It took Sydney Leroux all of two minutes to get the ball rolling in this match. Chioma Ubogagu's pass got by the Sky Blue backline and found an unmarked Leroux inside the penalty area. Leroux then settled the ball before scoring with her left foot and putting her team ahead. Sky Blue were not overwhelmed by this quick Orlando start and their found their own opener in the 16th minute. New signing Imani Dorsey stole the ball in midfield and then combined on the break with Savannah McCaskill. Dorsey's effort was saved by Ashlyn Harris but the rebound fell to McCaskill who slotted it home with her first touch. Leroux was back it again in the 31st minute and put her team back in the driving seat. Christine Nairn picked out the striker with a great cross and Leroux finished with a diving header, scoring her fourth of the season. Once again, Sky Blue did not back down and Madison Tiernan brought them back level in the 37th minute. Katie Johnson gathered a throw-in and went for goal which Harris was once again able to stop but the rebound found Tiernan who finished well. The second half followed the same pattern as the first half as both teams created opportunities for themselves. Both Harris and Kailen Sheridan were called upon to make saves and they did so for most of the second half. The tide turned in Orlando's favour when Marta came on in the 73rd minute, returning from an injury that kept her out for one match.